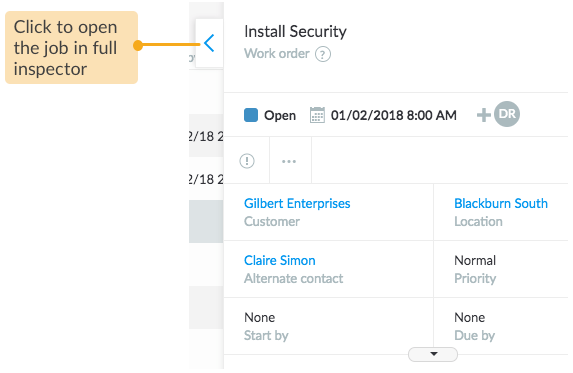 To update update tasks of a job, select the job in either List view or Map view. 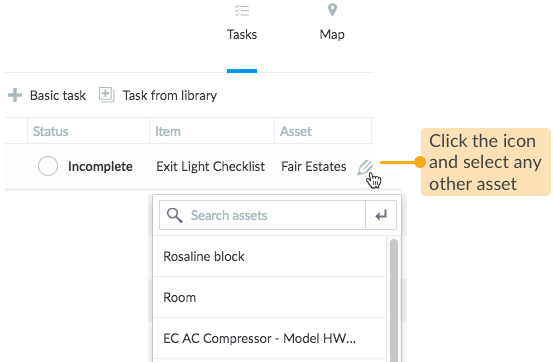 Use Tasks tab to view the progress, and when required, update the task details with field data reported by your technicians such as changing task status between Complete, Incomplete and Rejected, setting task completion results to Passed or Failed and logging hours spent on the task. 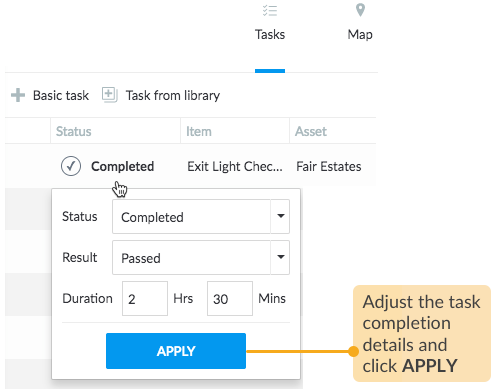 You can change the asset on which the task is performed, irrespective of the status of the task (Incomplete, Complete or Rejected) or asset (Active or Inactive). 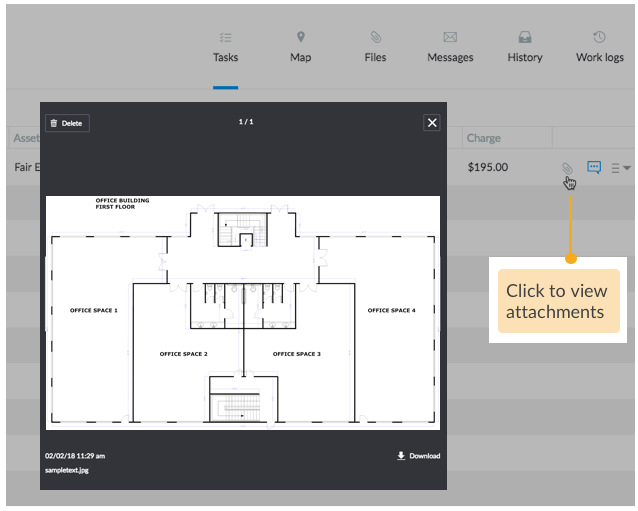 Setting the Quantity and Unit Charge for the task will determine the total amount to be charged on the customer. Each task can contain its own set of internal comments and attachments. 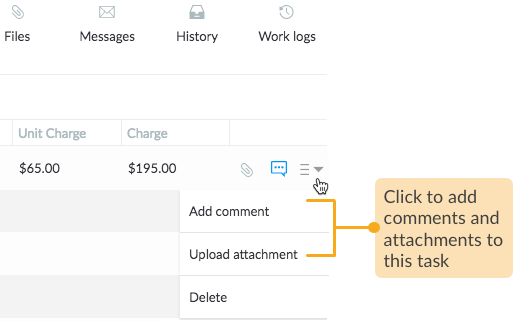 Just click and view all of the uploaded comments and attachments for that task at any time.